Interesting option to invest some time swimming in Wörth am Rhein. Is it not your first time here? Tell us how it went making use of the Facebook comments beneath or contacting us directly! 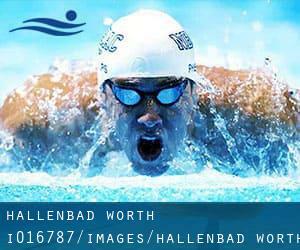 Hallenbad Wörth is only one of all the swimming pools Swimia is providing you, and its knowledge has been shared with us by a swimmer like you.Keep in mind you can now promote Hallenbad Wörth by sharing this page together with your friends, adding comments and linking to us. This sports center gives 25 meters, 5 lanes, Indoors. Contact facts for this Swimming Pool like phone number and email address are number. Some aid with Wörth am Rhein? If you believe that any of the facts is incorrect, please make contact with us. Help us be better day-by-day. Updated on 2019 Eifelstrasse , Montabaur , GERMANY (Postal Code: 56410). Among all the activities offered by the center, if you are enthusiastic about swimming you are going to get pleasure from 25 meters, 4 lanes, 1.8 meters - 3.5 meters depth, 1.8 meters - 3.5 meters depth, Indoors. Just in case you wish to make contact with this Pool before dropping by, we only know the phone number. Updated on 2019 Laubacherstraße , Kastellaun , GERMANY. Swimmers like you reported 25 meters, Indoors. Phone number and email address are number for this Pool. Updated on 2019 Hauptstr.213 , Idar - Oberstein , GERMANY. This sports center gives 25 meters, 5 lanes, Indoors. Contact information for this Swimming Pool similar to phone number and email address are number. Updated on 2019 Gelbstrasse 3 , Speyer , GERMANY (Postal Code: 67346). Swimmers like you reported 25 meters x 13 meters, 6 lanes, 1.8 meters depth, 1.8 meters depth, Indoors. Phone number and e mail address are number for this Swimming Pool. Updated on 2019 Schulstraße 14 , Hunsrück , Simmern , GERMANY (Postal Code: 55469). Among all the activities provided by the center, if you're keen on swimming you can expect to appreciate 25 meters, 5 lanes, Indoors. Just in case you would like to contact this Swimming Pool just before dropping by, we only know the phone number. Updated on 2019 Kurbrunnenstraße 28 , Bad Duerkheim , GERMANY (Postal Code: 67098). Among all the activities offered by the center, when you are interested in swimming you might enjoy 25 meters, Indoors. Just in case you would like to contact this Swimming Pool prior to dropping by, we only know the phone number. Updated on 2019 Bismarckstrasse 65 , Bad Marienberg , GERMANY (Postal Code: 56470). This sports center provides 25 meters, Indoors. Contact details for this Swimming Pool which include phone number and email address are number. Updated on 2019 Sportzentrum 2 , Schifferstadt , GERMANY. Among all the activities offered by the center, when you are thinking about swimming you might enjoy 25 meters x 12.5 meters, 1.8 meters - 3.4 meters depth, 1.8 meters - 3.4 meters depth, Indoors. Just in case you need to contact this Swimming Pool before dropping by, we only know the phone number. Updated on 2019 Blücherstraße , Lahnstein , GERMANY (Postal Code: 56112). Swimmers like you reported 25 meters, 5 lanes, Indoors. Unfortunately we do not have the e-mail address of this Swimming Pool, but we can give you the phone number. Updated on 2019 Auf Omesen , Irrel , GERMANY (Postal Code: 54666). Swimmers like you reported 25 meters x 8 meters, 3 lanes, Indoors. Unfortunately we do not have the e-mail address of this Pool, but we can provide you with the phone number. Updated on 2019 40 Friedrich-Ebert-Straße , Bad Bergzabern , GERMANY (Postal Code: 76887). This sports center offers 25 meters, 5 lanes, 1.8 meters - 3.6 meters depth, 1.8 meters - 3.6 meters depth, Indoors. For this Swimming Pool, only phone number is number here. Updated on 2019 Talweg 4 , Bitburg , GERMANY (Postal Code: 54634). Among all the activities provided by the center, in case you are keen on swimming you can enjoy 25 meters, 3 lanes, 1.3 meters - 4 meters depth, 1.3 meters - 4 meters depth, Indoors. If you must get in touch with this Pool, e-mail address and phone number are both number. Updated on 2019 This sports center offers 25 meters, Indoors. Contact information for this Swimming Pool including phone number and e-mail address are number. Updated on 2019 Am City-Parkplatz , Saarburg , GERMANY (Postal Code: 54439). Swimmers like you reported 25 meters, Indoors. Phone number and e-mail address are number for this Swimming Pool. Updated on 2019 Talstrasse 120 , Neustadt an der Weinstrasse , GERMANY (Postal Code: 67433). Swimmers like you reported Olympic size x 25 meters, 10 lanes, Indoor/Outdoor. Phone number and e-mail address are number for this Swimming Pool.